With Cervo the car makers are expecting to gain their lost position in the small car segment that they had during the days of Maruti 800. 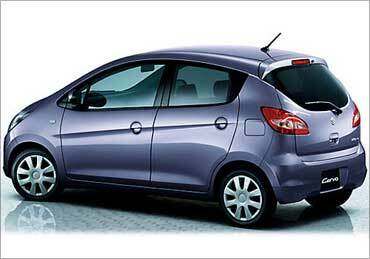 Maruti Cervo is priced between Rs 150,000 - Rs 200,000 (ex-showroom Delhi), which is higher than the price of Tata Nano. Cervo which is a five-door hatchback model has a spacious passenger cabin. 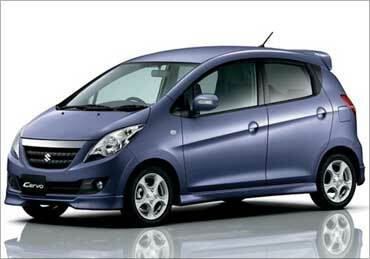 It comes equipped with a 0.7L, 660cc petrol engine capable of producing maximum power of 60bhp. The phenomenal fuel efficiency is one of the USPs of this car. Cervo is build to attract the young generation and so the styling has been done keeping in mind just that. Arching roofline, sporty headlamps and fog lamps placed right next to the large grille makes the car look appealing. The high mounted tail lamps also lend it a peppy look. However, the disadvantage is that the rear seat of Cervo is sufficient only for two passengers and the luggage box has space to carry daily shopping bags only. Cervo is all about affordability, efficient engine and an economical price tag. Its sleek looks are just an add-on to attract the right segment of the consumer. Great cars to look forward to in 2010! The chaos called Bt brinjal!